This tasty soup uses five whole stalks of baby bok choy alongside several other aromatic elements to make a perfect blend for easing congestion or cold-fighting. bok choy bok choy soup soup June 17, 2016 By Kristen Callihan... I think I’ll add some bok choy now that I see this! I went to Vietnam a few years back and my whole family got some bug. It definitely was a test for all of us…it’s hard enough to deal with each other for two weeks when we are healthy! But I ate pho everyday for breakfast and had no idea how great of a breakfast food it could be. Loved your post! Makes me want to go back. Add bok choy leaves and cook until leaves are wilted but stems are still crunchy, stirring occasionally, about 5 minutes. Add sweet chili sauce, stir and let cook for another 2 to 3 minutes, tossing to coat all leaves. Taste and adjust seasoning with salt and pepper. Serve immediately and spoon leftover sauce in pan over bok choy.... 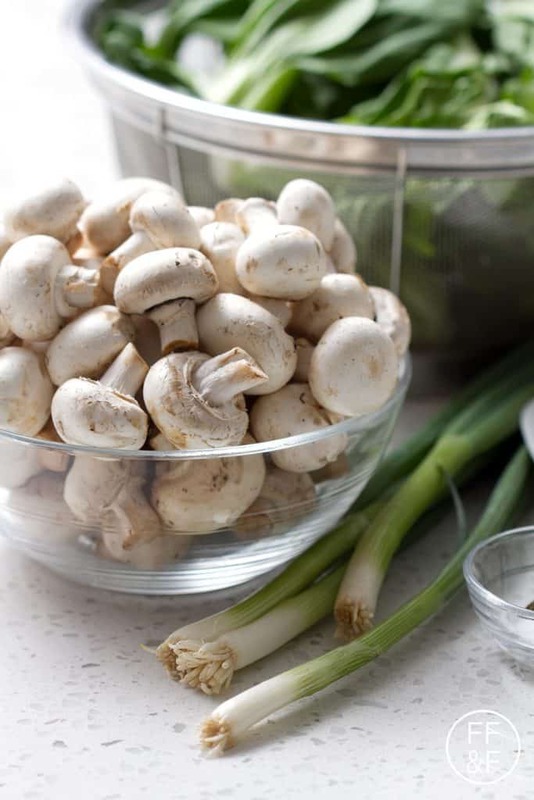 Follow these steps to freeze bok choy whole so you can use in udon noodle soups for months to come! We have so much bok choy right now. Maybe it was a crazy idea planting over 90 plants. Toss with the bok choy and cook until the udon is heated through and well coated with the lime sauce, about 2 to 4 minutes. Divide the ginger lime udon between large plates. Top with whole roasted carrots and sprinkle with black sesame seeds. Drizzle with the remaining sesame oil. Once the chicken and baby bok choy is done, remove the chicken and use discard all but 1/4 cup of the chicken juice. Using the same chicken pan add the mushrooms and cook for about 2-3 minutes on medium high, then set the mushroom to the side. Add water (add chicken broth to the pan if you're not using Better Than Bouillon) and the better than bouillon to a bowl and mix well. 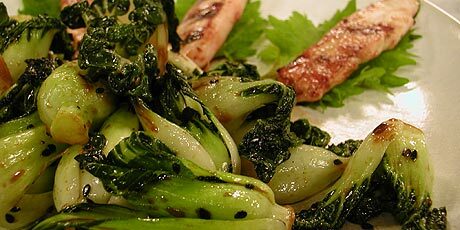 With tongs, remove the baby bok choy and shallots to a serving dish and keep warm. Pour pan juices into a 2-cup measuring cup and spoon off any fat from the top. Transfer to a small or medium saucepan and bring to a boil.